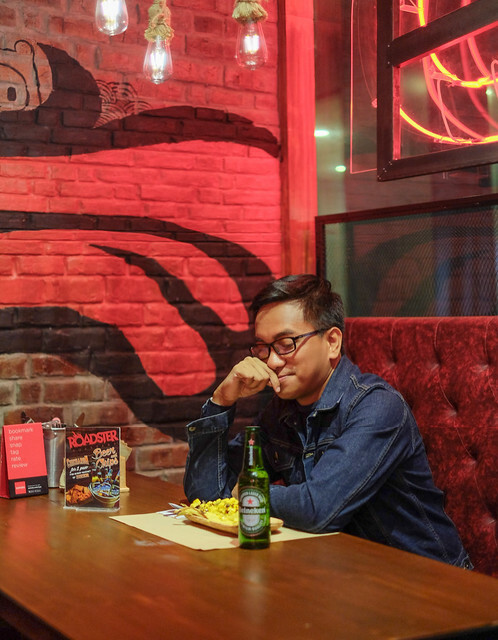 So last night, I finally visited Roadster Roasters, a newly opened restaurant in Mandaluyong for all meat lovers and millennials who love to chill like us who just wanna hangout and gather with friends. It was actually my first time to stop by and glad to see fellow blogger friends after a couple of busy days at work. I’ll just go straight to the point. 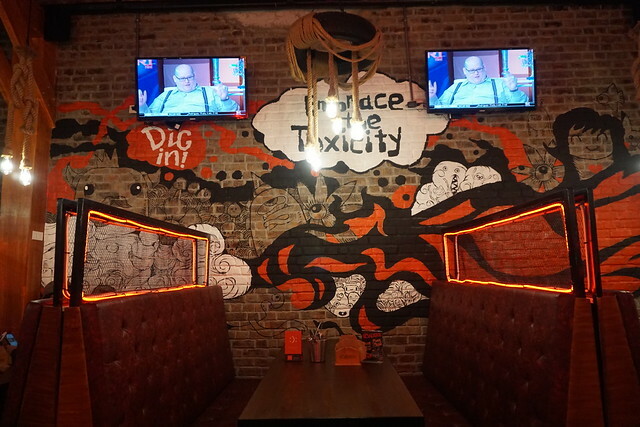 The menu and dishes are all worth trying. I was happy I didn’t had merienda so I came in with a ready tummy waiting for the big deal. 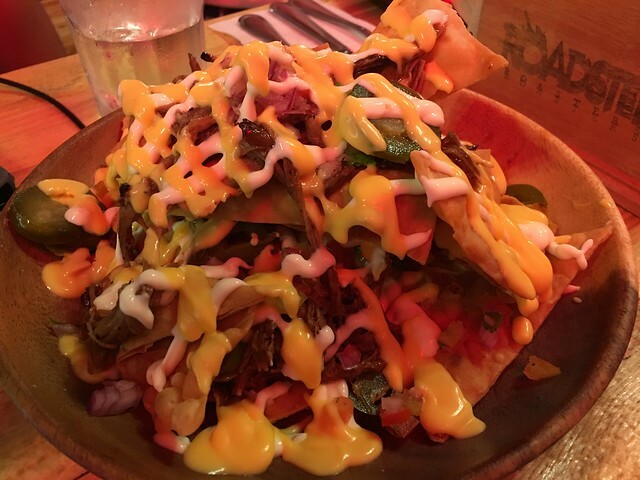 When I arrived some of my friends are having Nachos and tortilla chops with chives, jalapenos, onions with ground beef and cheese. 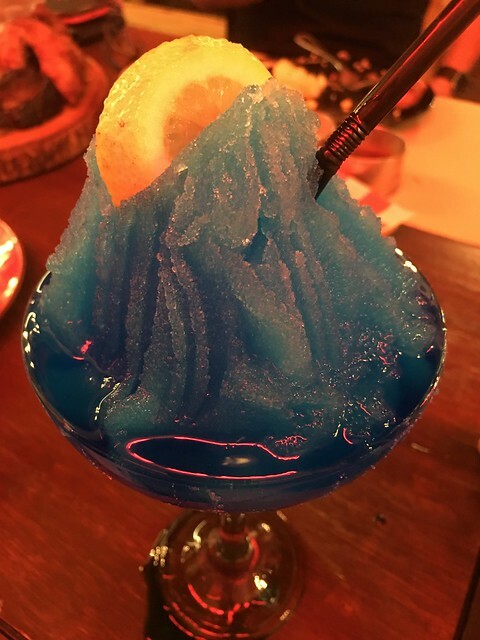 I ordered Blue Frozen Tequilla while talking with friends. It was an awesome starter for me that night. Then they served some smoked corn, which is now my personal favorite, plus delicious potato fries. 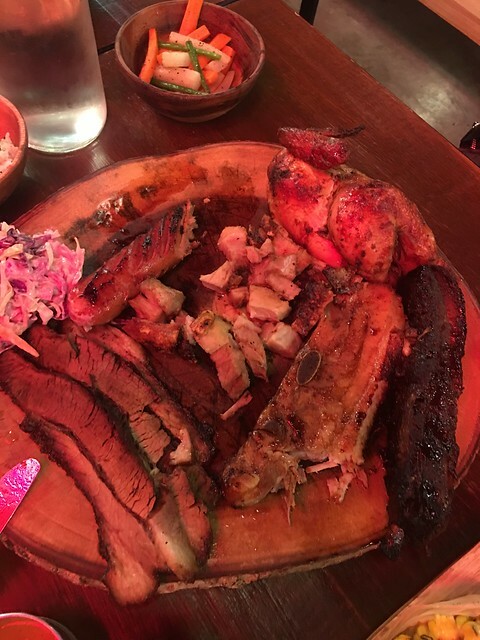 Then here comes a huge platter meat! 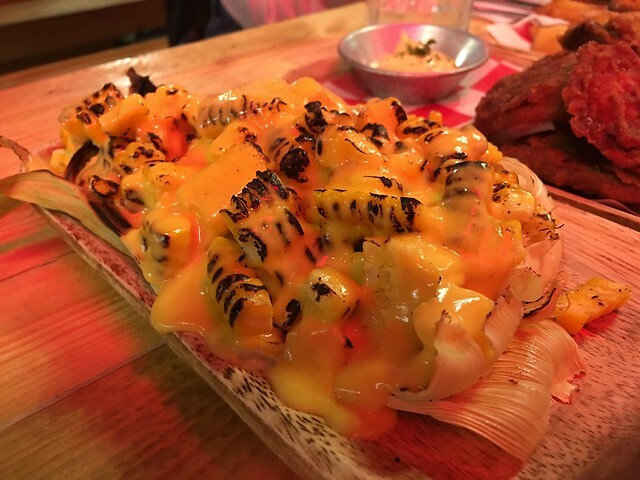 Served in a wooden stooge and we felt like we are up for a big dinner. 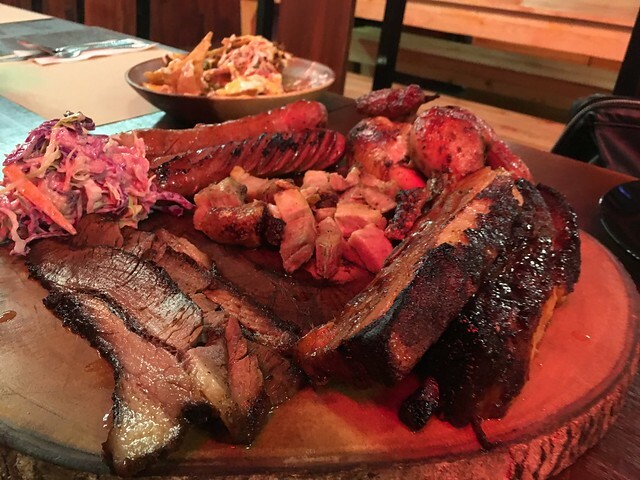 The platter contains Texas-Style Slow-Cooked Beef Brisket, A The Roast Pork Belly with skin so perfectly crunchy, sausage, and fried chicken. 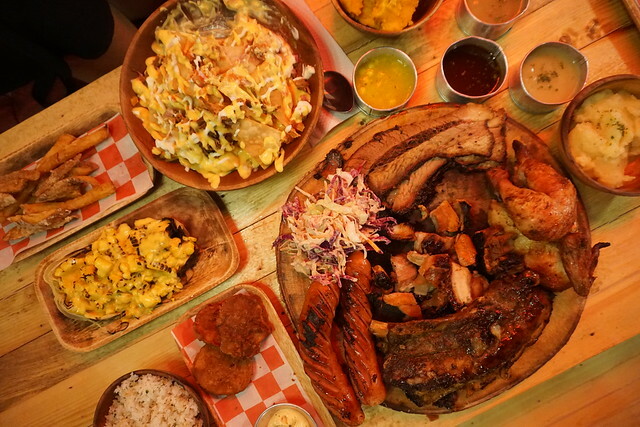 It was really huge and good for group of 3-5 people. It also comes with an asian slaw plus rice and a mashed sweet potato on the side. They also have a couple of classic soy and vinegar dip plus a mango chutney sauce. Whoever thought of this is genius like totally! Oh by the way, currently they are hosting a promo for this delicious and crunchy chicharon! 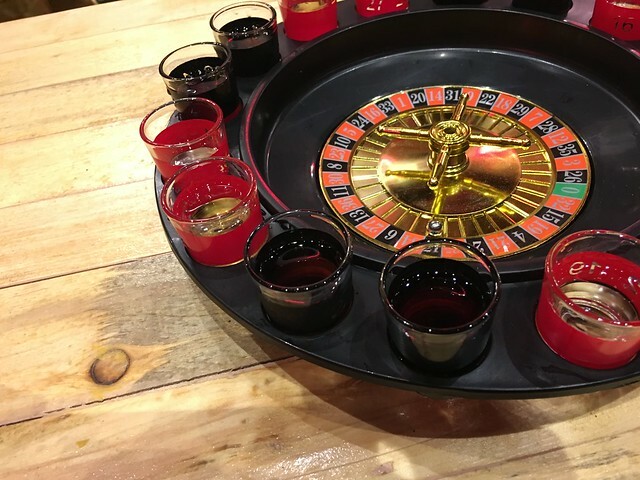 Actually the highlight of the night was, aside from a very good conversation with friends is the SHOT ROULETTE, a drinking game for groups which will get you into the mood by just turning the roulette around. 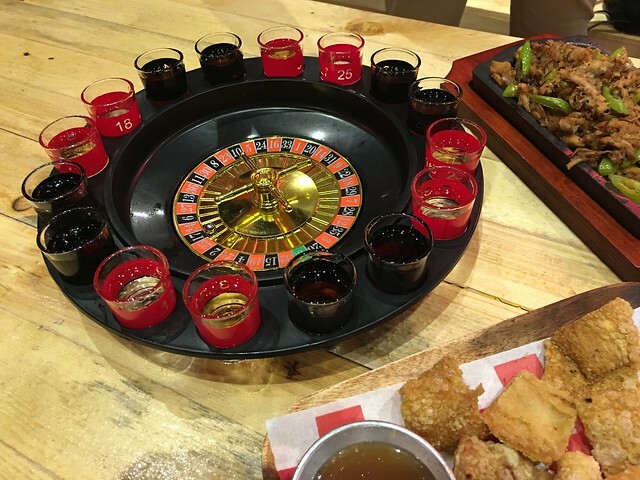 It is a straight forward game where you will drink the shots of tequila, vodka or soda on whatever number you get from it. It was a fun night to remember and a good dispose since everyone is so game to try it. 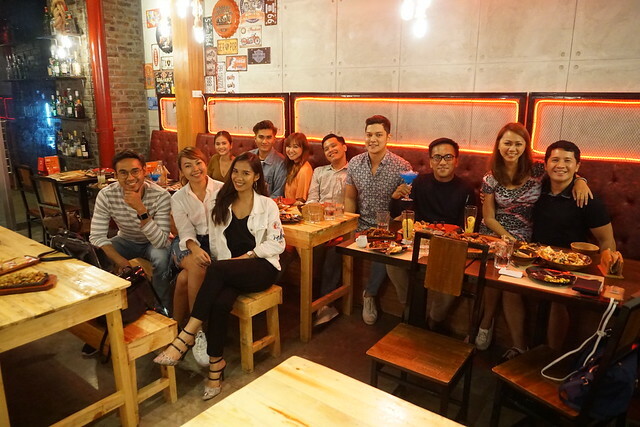 Here I am with blogger friends who talk and share stories endlessly: (From left) Rodel Flordeliz, Trice Nagusara, Dennyse Cayabyab, Kim Santiago, Pocholo Mendoza, Rochelle Abella, Mj De Leon, Seph Cham with Yen and Chuckie Dreyfus.